Everyone at A&S Aluminium Glazing Systems is passionate about the diverse applications of bifold doors for homes and businesses. Wonderfully contemporary yet presenting timeless elegance, they truly transform the look and feel of properties and come with a wide range of benefits. Available in hundreds of RAL colours, you can choose the perfect shade to make your bifold doors either blend in with your property or stand out from the crowd. 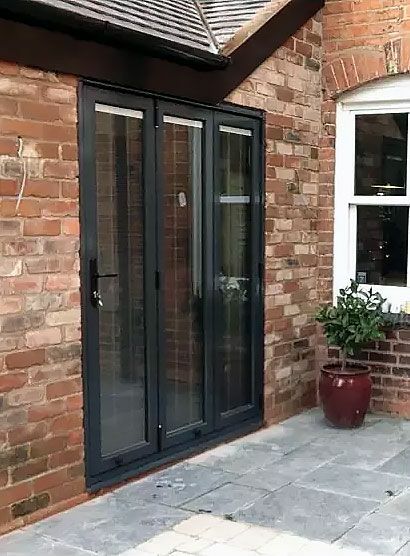 If you’re interested in bifold doors for your domestic or commercial property, get in touch with our friendly team today and we’ll offer expert advice and a tailored quote. Our systems provide security, noise reduction and energy efficiency. 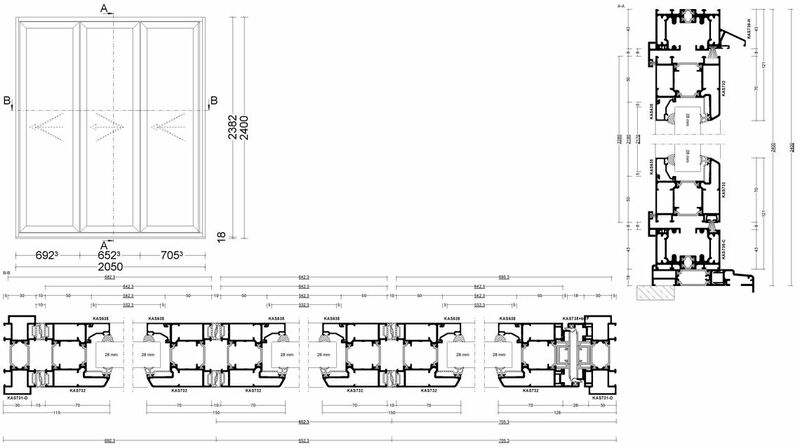 The ultimate glazing solution, bifold doors are often referred to as folding doors. This is because they provide wide, clear openings into your home in a way that can’t be achieved with traditional patio doors or French doors. With the option to have a bespoke configuration of between two and seven panels, the system offers unobstructed views of your garden and natural environment. This makes them ideal for all types of properties, regardless of size, style or location. Adding bifold doors to your home also helps with the creation of an open-plan living space. Some rooms can’t accommodate patio doors effectively due to the way they open, but with bifold doors you can rest assured that minimal space is taken up both during opening and when fully open. Many of our customers with large properties don’t just choose them for the back of the house, they also have them lining the front to enhance their veranda, and sometimes even upstairs to allow direct access to balconies. 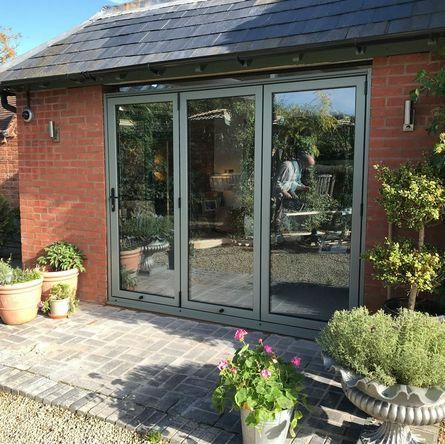 Granting unrestricted movement whilst enabling natural light and fresh air to fill each room, you’ll wonder how you ever lived without aluminium bifold doors. And if you want your entire home to have the same aesthetic, we can also install custom bifold windows throughout. Aluminium is a fantastic material for doors and windows, as it’s robust yet lightweight, low maintenance and weatherproof. However, aluminium is also a very good conductor of heat, which means that it offers poor insulation during cold weather and little protection during summer. That’s where thermally broken technology comes into play. Located inside the door system, this material acts as a barrier between the different materials in order to keep the heat where it should be. The result is the retention of warmth inside the home when you need it most, which can help you to lower your energy consumption and essentially reduce your utility bills and carbon footprint. 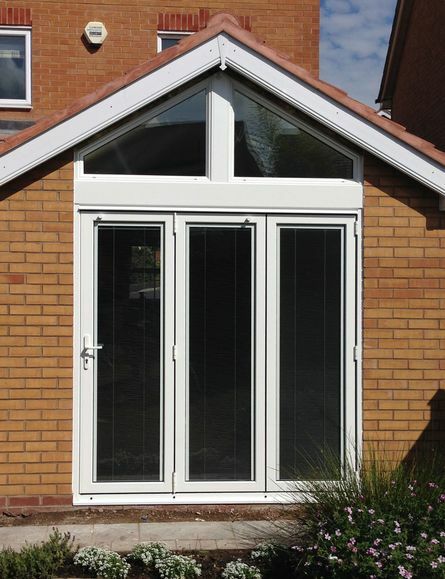 Using a locking system that’s integrated into numerous points, aluminium bifold doors are extremely secure and provide an excellent deterrent to unlawful access. Meanwhile, the toughened double-glazed glass ensures spectacular views, excellent security, and top performance in all weather conditions. Aluminium bifold doors offer high visual impact and a range of practical benefits. 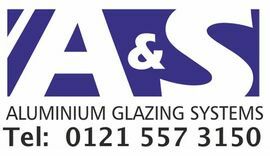 For a tailored quote, call today on 0121 557 3150.